Kensington comes with an array of beautiful accessories such as the overmantle shelf shown, allowing you to achieve a luxury look at a price you can afford. 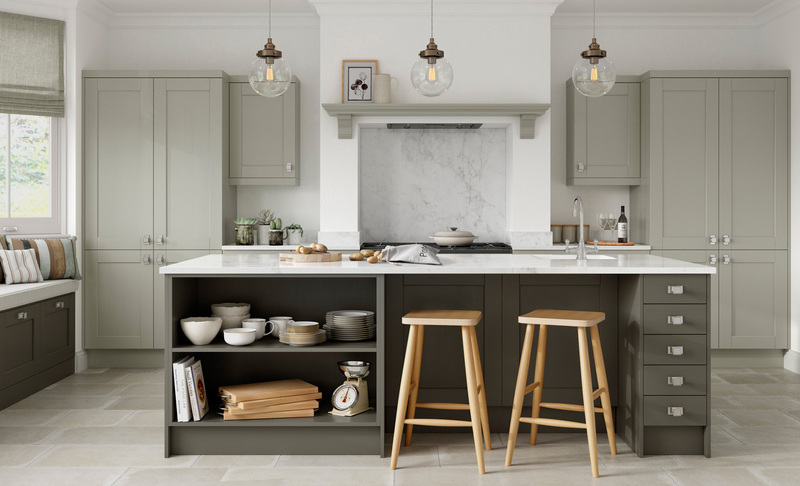 Consider open shelving in your island unit as a clever storage option. Choose a modern handle to complement the classic Kensington shaker. This contemporary square chrome knob lends a slight contemporary vibe to the overall kitchen.